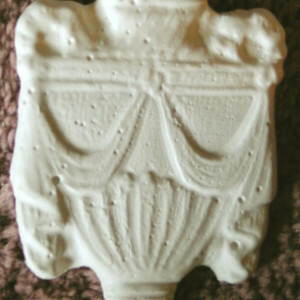 A gorgeous and very intricate plaster mold that measures 8 1/2 x 8 1/2″. You can do so many things with this mold! 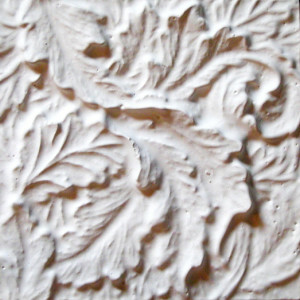 Try creating a Raised Plaster Frame on your wall using one of our frame or Molding stencils. Paint it the color of your wall, but paint the inside a slightly different color then attach these beauties! How about creating an entire headboard of them? Wow, that would be a sight to see! 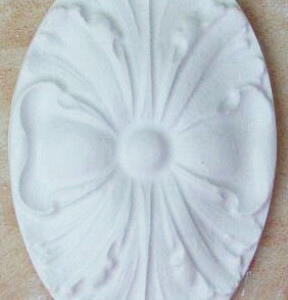 Because of it’s open ornamental design, this plaster mold creates the look of stunning wrought iron! Cast the mold, then paint each piece black. 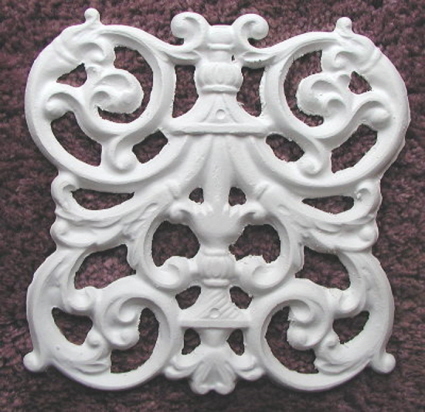 Mount on the wall to create a faux wrought iron fence or as a stunning head board design.